Philippine Airlines (PAL) is all set to add a brand new Boeing 777 to its fleet for international flights to the United States. The new aircraft with increased seating capacity will be deployed for flights between New York and Manila from October 26 onwards. Philippine Airlines’ flights from New York to Manila fall short of seating for the increasing number of passengers on this route. That is why the current Airbus 340 having 254 seats will be replaced by the B777-300ER with a total of 370 seats including 42 in the Business Class and 328 in the Economy Class. Evidently, the new aircraft has more seating capacity by 46% than the existing one. One of Boeing’s bestselling airplanes, B777-300ER comes with a host of passenger-friendly features including power sockets and USB ports. Both cabins of the aircraft – Business and Economy – are equipped with modern inflight entertainment and high-speed Wi-Fi systems making it possible for travelers to stay engaged and connected in the sky. Philippine Airlines operates flights between New York and Manila with a stopover in Vancouver. Boeing 777 has already been in service for flights between San Francisco and Manila, Los Angeles and Manila, Toronto and Manila as well. All Airbus 340s will be replaced by B777s in Philippine Airlines’ fleet in 2016. The upcoming flights from Manila to New York and from New York to Manila will be efficient as well as economical due to deployment of the new Boeing 777-300ER. 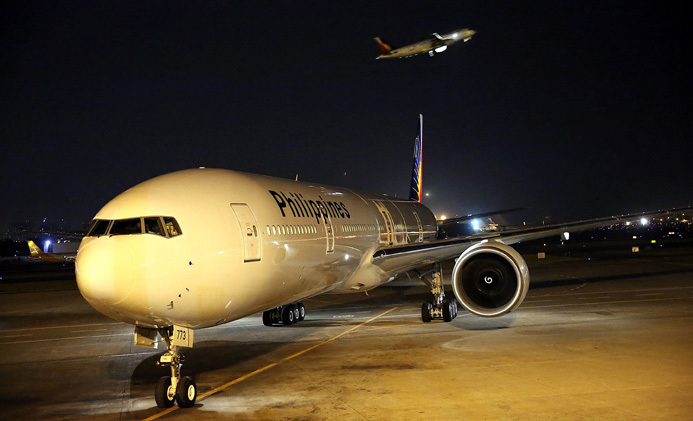 PAL’s signature Filipino service will be offered to passengers in both travel cabins of the aircraft on this route, according to Jaime J. Bautista, President and COO of Philippine Airlines. iEagle.com books Philippine Airlines’ cheap flights to Manila from New York, Toronto, San Francisco and Los Angeles. Check the itineraries online and get the best. Previous articleHow Luxurious Pope Francis’ US Tour is!